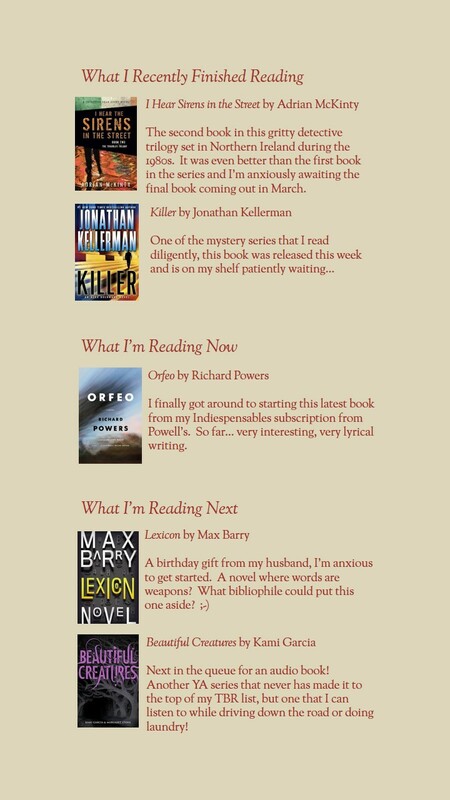 This entry was posted in WWW Wednesdays and tagged adrian mckinty, alex delaware, beautiful creatures, i hear the sirens in the night, jonathan kellerman, kami garcia, killer, lexicon, max barry, orfeo, richard powers, what i'm reading, www wednesday. Bookmark the permalink. Lovely selection of books! I’ll look out for your reviews! Beautiful Creatures has long been on my TBR list! I hope you enjoy it!